Great for Lionfish, these 400 series stainless-steel snips with plastic coated finger grips are also good for cutting line, net, rope, etc. They also work will where a knife might not work. 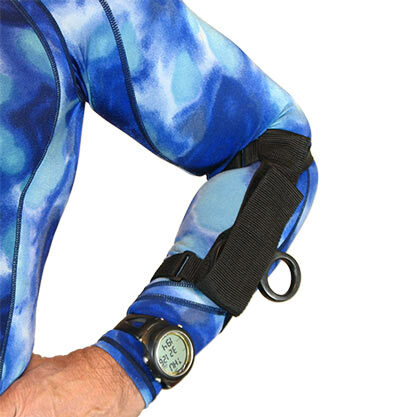 Includes easy access forearm sheath and straps. Nothing fancy, but the work fine. Snipped the barbs with ease. I'd definitely buy these again. These work great, I tie a little tether line on the handle back to the strap to prevent drops. A few eyelets for attaching would be nice, maybe molded on the handle and one sewn into the strap/holster. But cuts very well. Great product. Great price. Nice holder. Easy access.